Different birds have different characteristics and personalities, so it is always a good idea to research the qualities of a bird before making a purchase. It is important to find the bird that best fits your family’s lifestyle. 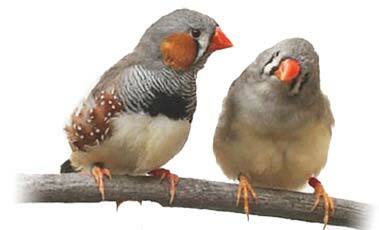 Zebra finches are very comfortable and low maintenance. These small, hardy birds are relatively cheap and have an average lifespan of seven to ten years. They are not as social with humans as other species are, so if you’re looking for a bird to be a good friend, they may not be right for you. Finches do need company of their own kind, however, so you must keep at least two together. Canaries, are great song birds with similar care requirements to the finch. And like finches, canaries do not enjoy human handling. However, most canaries don’t like to share the same cage, but one bird kept alone as a pet will be quite content with care and attention from you. Budgies, larger parakeets and cockatiels prefer much more interaction with humans. 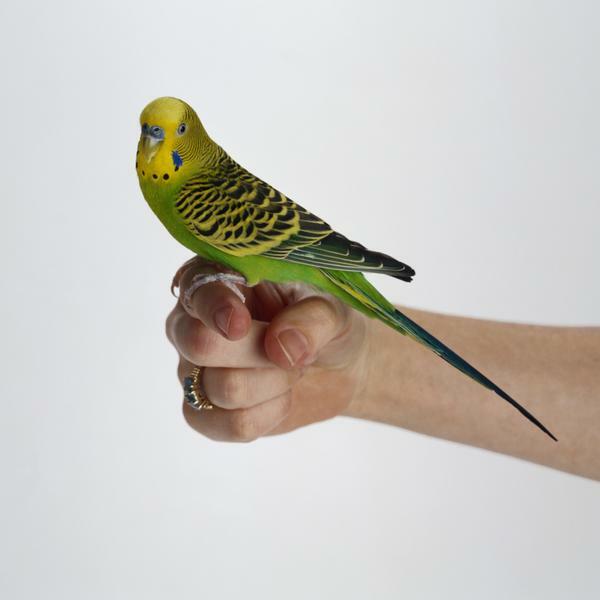 Budgies are the most popular bird species kept as pets, and with good reason. This gentle friend will enjoy perching on your shoulder, and can be taught to mimic words and household noises. They are great first birds for children, and can live for 10 - 12 years. At 25 to 35 cm long, cockatiels are about twice the size of budgies and have an average lifespan of 12 to 15 years. They are intelligent, love lots of attention from humans, and often are very willing talkers. Parrots are very popular pets because of their bright colours, intelligence, social and affectionate nature and their ability to imitate human voices, sometimes with very funny outcomes! They can grow to be quite large birds and fit, healthy birds can sometimes reach well over 60 years of age, so for this reason, they need to be viewed as a life-long commitment. Always buy the largest, most well-constructed cage you can afford. No matter the species, your bird will need a cage that’s large enough for it to stretch its wings and fly short distances. A typical cage for small birds should be 60cm x 60cm x 60cm. To prevent escape or injury, the bars on the cage should only be 1cm apart, a little larger than the tips of your fingers. It is good to know that canaries and finches prefer a cage that is wider than it is taller, while budgies, parakeets and cockatiels like tall cages with horizontal bars they can climb. Perches are also very important. You will need to install several perches at different heights, making sure that one is level with the food and water dishes. The bottom of the cage should be lined with paper (newspaper printed with non-toxic ink is fine) and this paper should be changed daily. The paper should be covered with a bird sand or litter. Picking the right location for the cage is very important. Place the cage in a warm, bright part of the house, close to lots of activity but away from all draughts and direct sunlight, and raised off the floor. Avoid setting up the cage in or near the kitchen because birds are extremely sensitive to fumes, and fumes from self-cleaning ovens and Teflon-coated cookware, if overheated, can be fatal. Toys are an essential addition to any bird’s cage and help to keep them entertained, especially when you are not around for company. There are many types of toys available but only provide one or two at a time, changing them regularly. All parakeets and budgies enjoy toys, particularly those that stimulate preening or that they can pull to pieces! Enough stimulation in the cage environment is very important to prevent some common behavioural problems in birds such as feather plucking and hyper-sexuality. Birds like to bathe and access to water helps them to keep their feathers healthy. You can use a bird bath in the cage, or you can even use a plant sprayer filled with warm water to spray your birds daily (not too late in the day). Ensure that the plant sprayer has never contained any chemicals. Birds are easily frightened, so it is important to not make any sudden movements around them. Allow them to get used to your presence and the sound of your voice, and start by offering them pieces of food through the bars of the cage. Once they have started to accept food from your hand, slowly introduce your hand inside the cage and eventually the bird should decide to step onto your hand. Once tamed like this, a bird should be allowed out of the cage for daily exercise. You need to be confident that your bird will step onto your hand since this will allow you to catch your bird easily and put it back into its cage. Always be aware of hazards in the home, restrict the bird to one room only, and close the curtains to prevent the bird flying into your windows. Seed- A bird’s basic diet should consist of a good quality seed mix. It should be a food designed for your particular type of bird. Fresh food should be supplied to your bird every day. Egg food- High protein egg food is very useful when fed during the moult, because it helps with good quality feather production. Millet- Millet treat sticks provide a natural treat that should always be made available and is particularly enjoyed by finches and canaries. Cuttlebone and Grit- Cuttlebones should always be available to provide your bird with a supply of calcium. It is also important to provide grit in the cage, since it is vital to help bird digest their food. 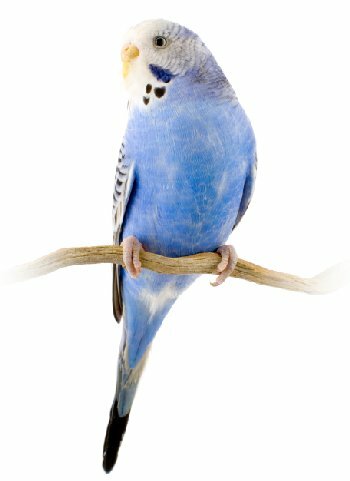 Iodine- Budgies need more iodine in their diet than other birds. For budgies, iodine can be supplemented in block and liquid form. Fresh fruit and vegetables- All birds benefit from small amounts of fresh fruit or green foods, since these help to prevent vitamin deficiencies. Broccoli, apples, cress and grapes are good examples of foods to try but there are many others. Whatever you try it should be washed thoroughly and any non-fresh food should be immediately removed from the cage. Do not give your bird avocado, rhubarb, cherry pips or apple seeds. A thorough cleaning of your bird’s cage is required once weekly. Remove and wash the cage tray and perches, and wash the area around the cage. Make sure all toys are clean and not damaged, without loose or broken parts that could hurt your bird. Once a month, you’ll need to clean the entire cage with a pet-safe disinfectant solution. Rinse well, and dry everything before returning your bird to its cage. Common illnesses include vitamin deficiencies, respiratory diseases, infectious diarrhoea, parasites, liver disease, tumours, feather problems (eg French Moult) and being egg bound. All of these conditions need treatment, so always check with your Vet if you notice something unusual. 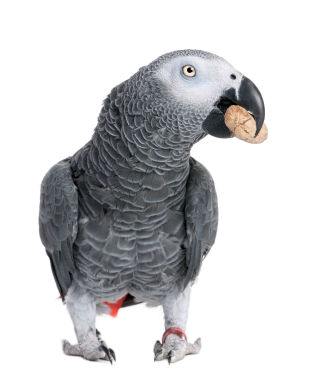 Behavioural problems also need attention, and enriching your bird’s environment with more stimulants can help solve many of these issues, but speak to your Vet if behavioural problems are persistent. We recommend you get your bird checked by your Vet every year, even if it seems well, because your Vet may be able to detect problems in the early stages. If you feed your bird a balanced diet, keep it in a well sized cage with plenty of toys, exercise and activity, this should help your bird to live a long, happy and fulfilled life!